Pewter Rope Handles are Sold Out and Retired! 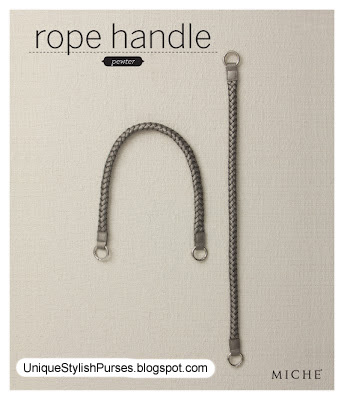 Miche Bag braided Pewter Rope Handles in faux leather have a beautiful sheen. These handles fit the Classic, Demi and Prima Shells.